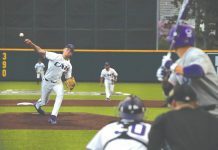 The Kansas State baseball team will use the momentum of a mid-week sweep of New Mexico when they host West Virginia inside Tointon Family Stadium this weekend. K-State is 19-18 overall and 2-10 in Big 12 play, while the Mountaineers are 22-13 and 8-4 in conference play. The Wildcats are coming off their first two-game win streak in over a month and will look to beat the Mountaineers in a series starting today. West Virginia has yet to lose a series in conference play this year. 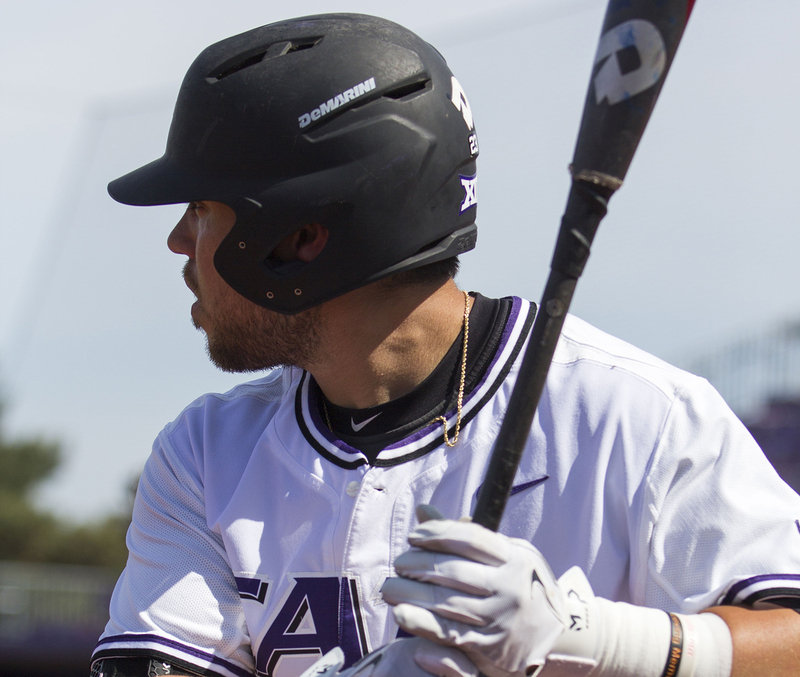 A major reason for the Wildcats’ success lately has been senior first baseman Jake Scudder, as he belted his 10th home run of the season in the doubleheader on Tuesday and is the leader in the Big 12 in home runs. The other reason is freshman outfielder Will Brennen, who was named the Big 12 Newcomer of the Week on Monday. He is second in the conference in batting average at .367 and is on pace to beat the program record in batting average, which was set in 1973 at .347. In game one, junior pitcher Justin Heskett will get the nod for K-State, as he has thrown three consecutive quality starts and in those starts has thrown out a combined 15 batters. He will go up against West Virginia starting pitcher BJ Myers, who ranks in the top 10 in the Big 12 in earned run average at 3.38. Game two will feature K-State senior pitcher Parker Rigler, who threw a no-hitter earlier this season for the Wildcats. In his last start, Rigler struck out seven batters against Texas Tech. He will go up against Michael Grove, who also is in the top 10 in earned run average at 2.70. K-State head coach Brad Hill will go for a program record 436th win this weekend, which would pass Mike Clark, who coached the Wildcats for 14 seasons. The starting pitchers for both teams in the series finale on Sunday are still to be determined. The Wildcats and Mountaineers meet for game one today at 6:30 p.m., Saturday’s game begins at 4 p.m. and Sunday’s first pitch is set for noon.